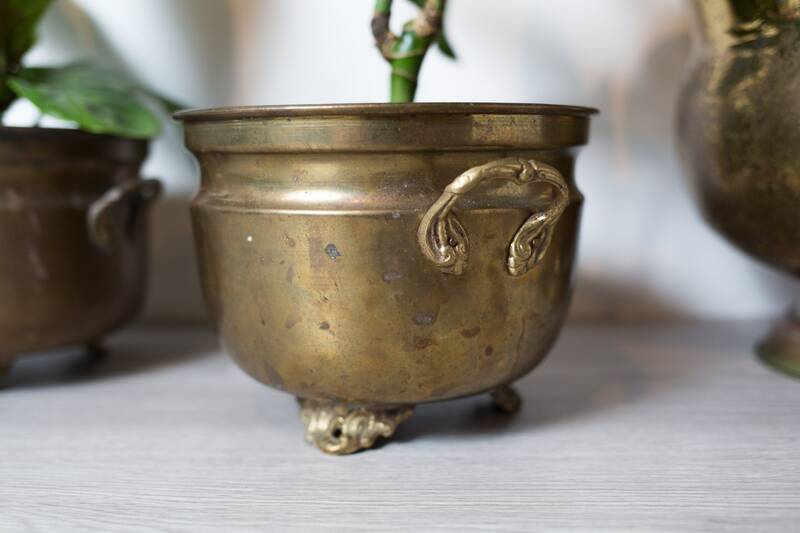 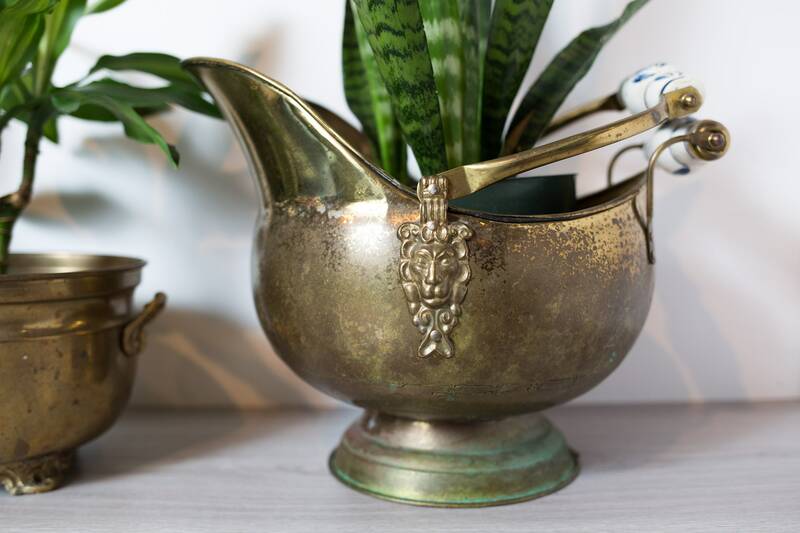 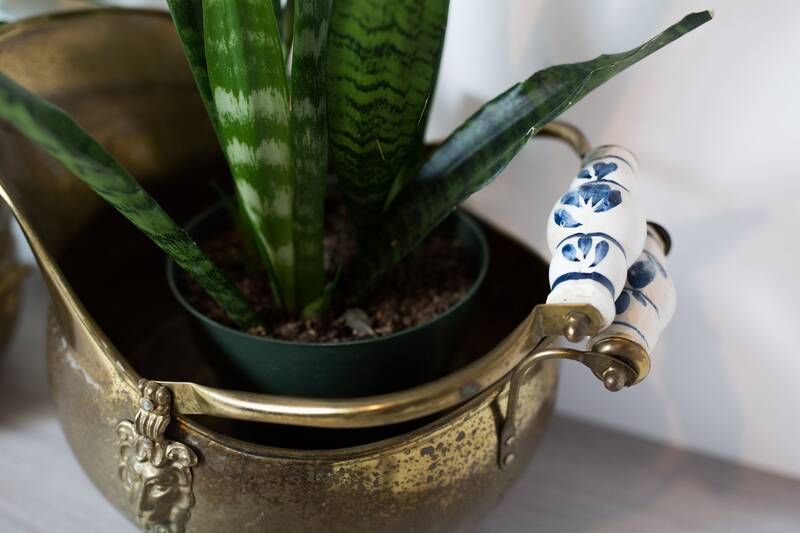 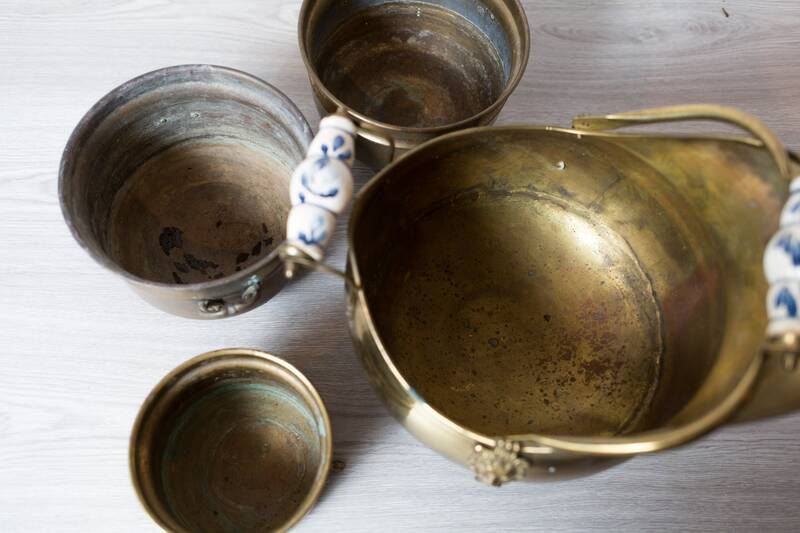 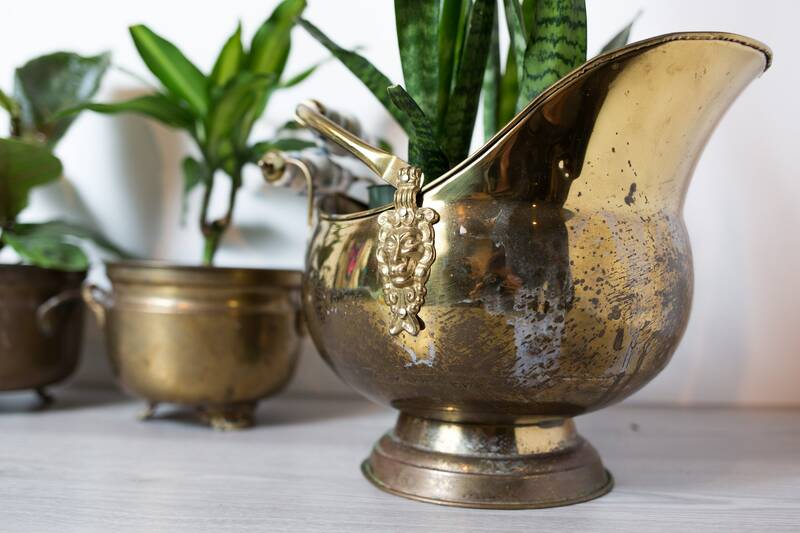 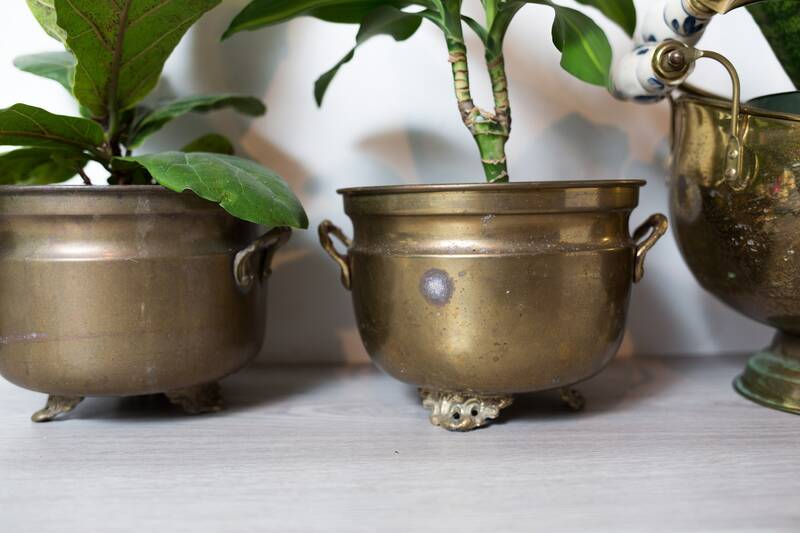 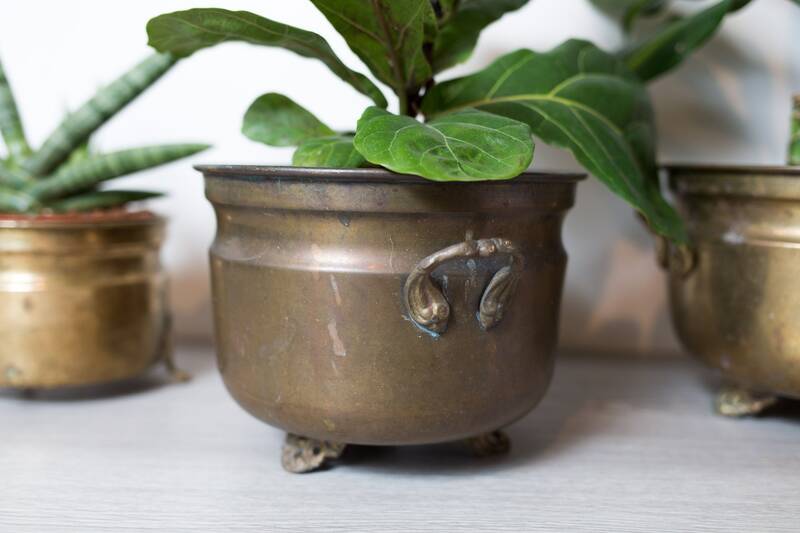 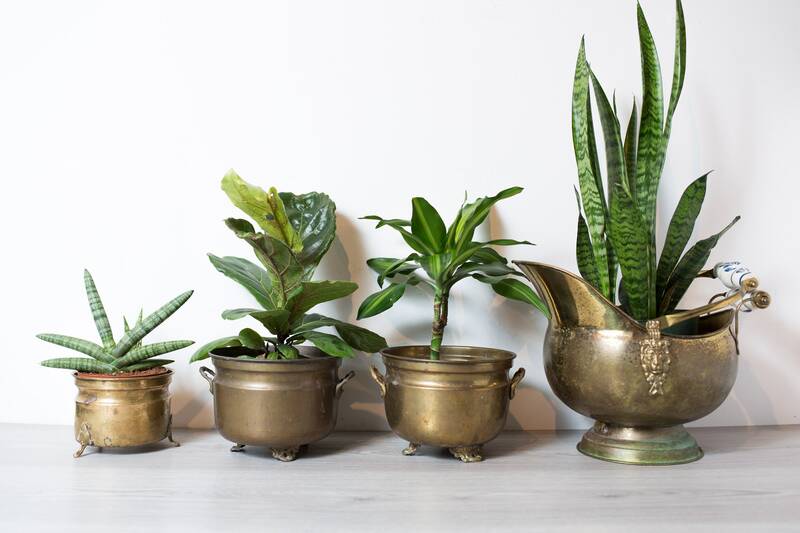 This is an elegant and wonderful vintage set of brass planters. 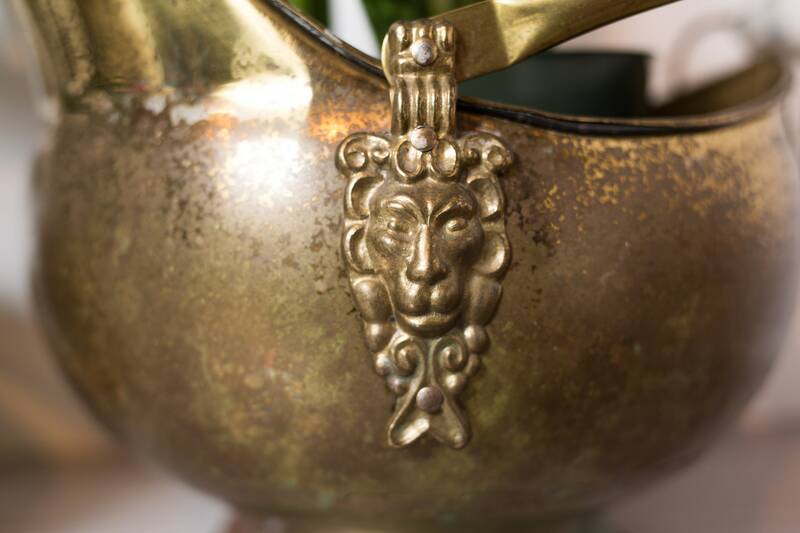 One has a spout and lion accents. 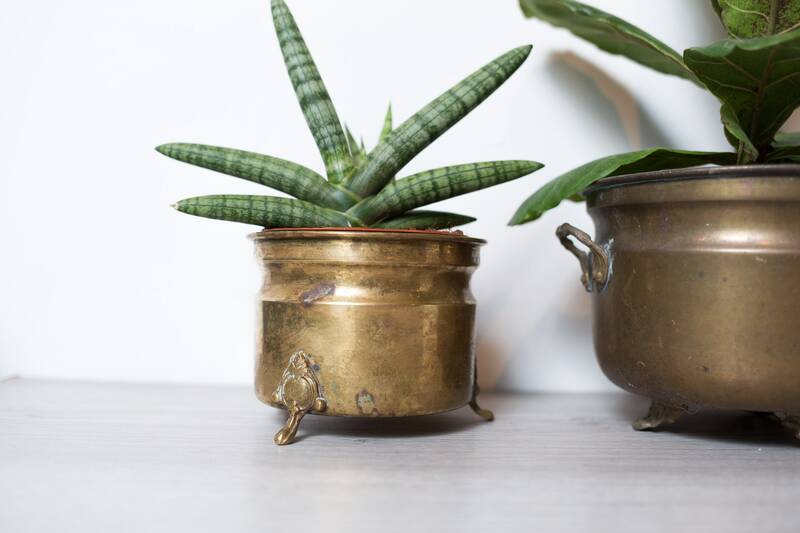 Great for succulents, cacti, herbs, or other plants.